Seville's history is intimately linked to that of the river Guadalquivir because from its most remote past the city has been both a river port and bridge between the Atlantic Ocean and the hinterland of Andalusia, nor should we forget that Seville has always been the crossroads between the North- East and West of the Iberian Peninsula. Even as far back as the beginnings of the first milenium B.C. 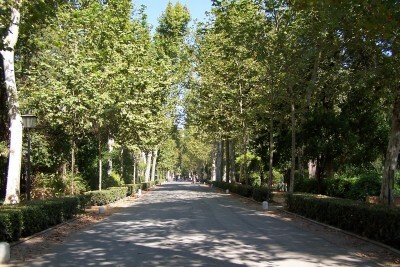 the area of Seville was destined to become the great market place of the Guadalquivir Valley. 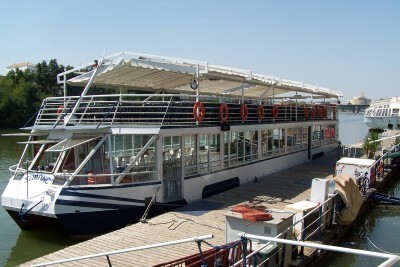 The original Seville was born where the river became no longer navigable for seagoing ships. Archaeological excavations undertaken in La Cuesta del Rosario confirm that the first permanent settlements date back to the 9th century. The Romans governed the whole of Spain for more than six centuries. Their first colony was Italica which may still be visited today. The remains of Italica can still be found about 10 km from Sevilla. Italica was rapidly expanded and among the many remarkable constructions can be named an Amphitheatre, with a seating capacity of about 25,000 people. In Itálica can still be found examples of great Roman architecture like the three houses De Exedra, Los Pájaros or Hylas with impressive mosaics. The town was also the birthplace of two Roman emperors Trajan and Hadrian. 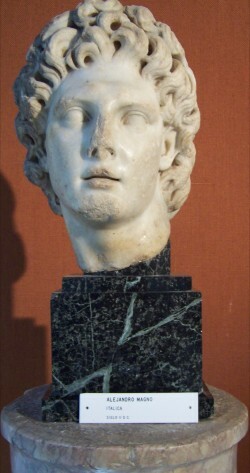 In 49 b.c. the name of the town was changed to Hispalis by Julius Caesar as it became an official colony of the Roman empire. 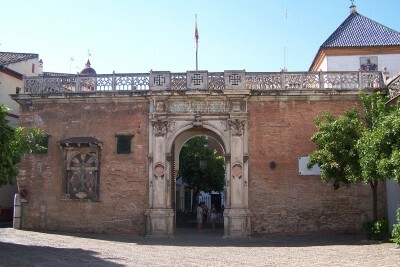 The town was constantly expanded and reached the area where Sevilla is located today. The Romans changed the face of the countryside and towns, building aqueducts and long straight roads to link the major towns. Today some of the best preserved artifacts from this period can be found at the city's magnificent Archaelogical Museum . But it was the Moslem civilization which was to have the most lasting impact on the city. Their reign lasted for nearly 800 years in Andalucia from 711 until 1492 when the Catholic monarchs defeated the Moslem kingdom of Granada. Some of the city's most magnificent buildings stand as a legacy to this era, including the Torre del Oro , Torre de Plata , Giralda , Patio de los Naranjos , the area of Triana , the Macarena Walls and the Alcazar . 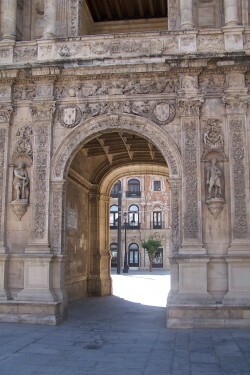 Later the mudejares used their skill to create beautiful Moorish-style buildings, such as the Palacio Pedro 1, part of Sevilla's Reales Alcazres. There are several Mudejar churches dating from this period, including the Iglesia de San Marcos, the Iglesia de Santa Catalina and the Church of San Pedro. Interestingly, Mudejar architecture continued long after the Moslem period, one of the best examples being the Casa de Pilatos , one of the most beautiful buildings you can visit in Sevilla. The city walls and gates offer an insight into the history over the ages. After the fall of Granada to the Christians, Spain entered an era of expansion and prosperity. The conquest of the Americas in 1492 made Sevilla one of the most affluent cities in Europe. In 1503, the city was granted a monopoly on Spanish trade with the new continent and rapidly became one of the richest, most cosmopolitan hangouts in Europe. 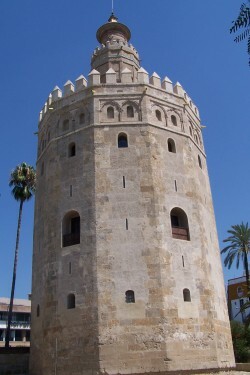 Even though little Madrid was named the capital in 1561, Seville remained Spain's major hub well into the 17th century. Lavish Renaissance and baroque buildings blossomed, and many stars of Spain's artistic golden age - Zubarán, Murillo, Juan de Valdés Leal - were based here. But much of this wealth was squandered on wars by the Hapsburg kings. The 13 year War of the Spanish Succession saw Bourbons on the throne in place of the Hapsburgs and, under the Treaty of Utrecht, the loss of Gibraltar to the British. Later ties with France dragged Spain into the Napoleonic Wars. Following the Battle of Trafalgar, the Spanish King, Carlos 1V abdicated and Napoleon Bonaparte placed his brother, Joseph on the Spanish throne. The Peninsula War ensued and, with British help, the French were driven out of Spain. After the Bourbon restoration, Spain weakened by further strife, began to lose her colonies. By the 18th century, Spain had fallen into economic decline and in the 19th and early 20th centuries poverty led to political conflict and ultimately to civil war. Many of the more recent historic buildings date from the 1929 Ibero-American Exposion of 1929, including the Plaza de España and the Parque Maria Luisa . In 1992 this event was repeated when Expo took place again in Sevilla, attracting thousands of visitors from around the world.